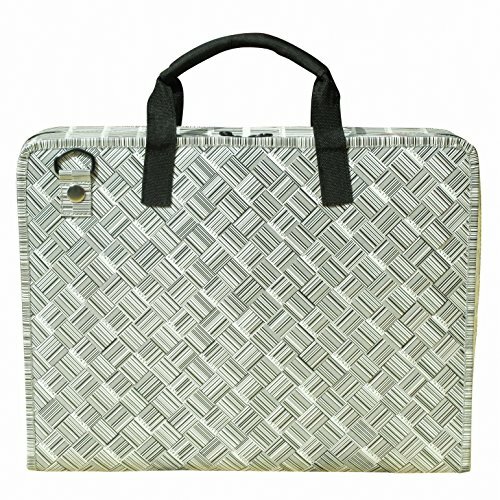 This laptop bag is made from UPC barcode labels. Folded into strips and woven tightly. Coated with clear plastic for protection.